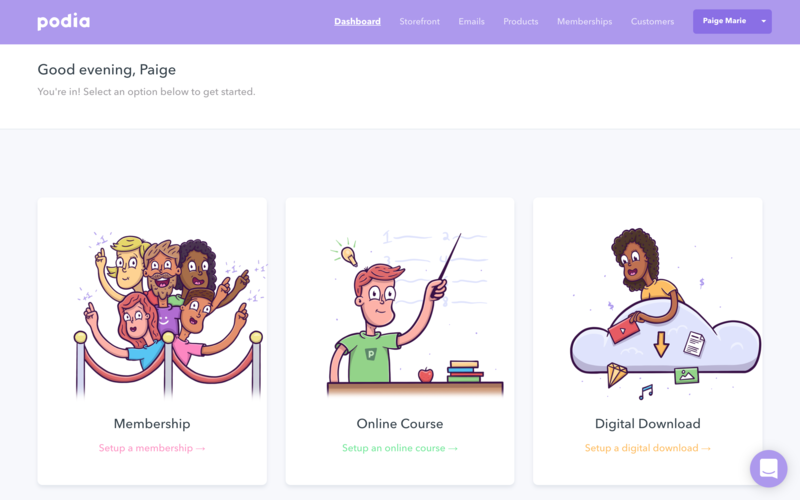 Podia is a “creator-friendly” platform for individuals who wish to sell their expertise via classes, digital downloads, and subscription memberships. With Podia, creators and entrepreneurs can manage all of these income-generating projects on one platform. 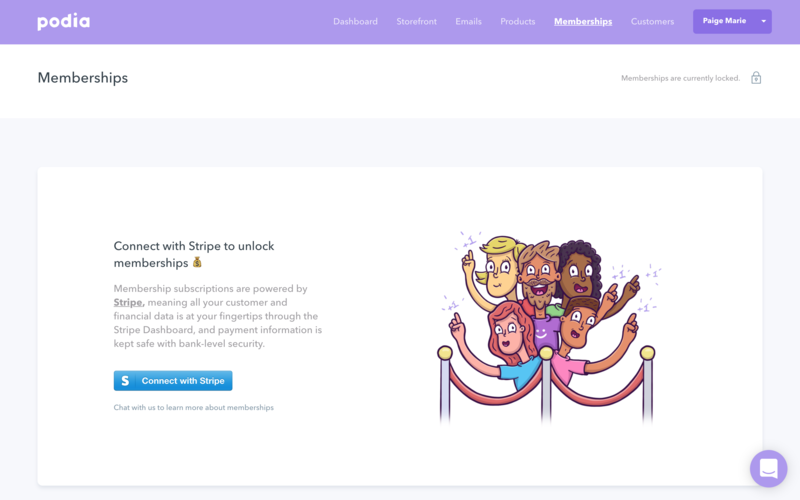 Understanding that new users might be coming to Podia only hoping to sell one of these services, Podia lets these users choose their onboarding route based on the service they plan to offer. 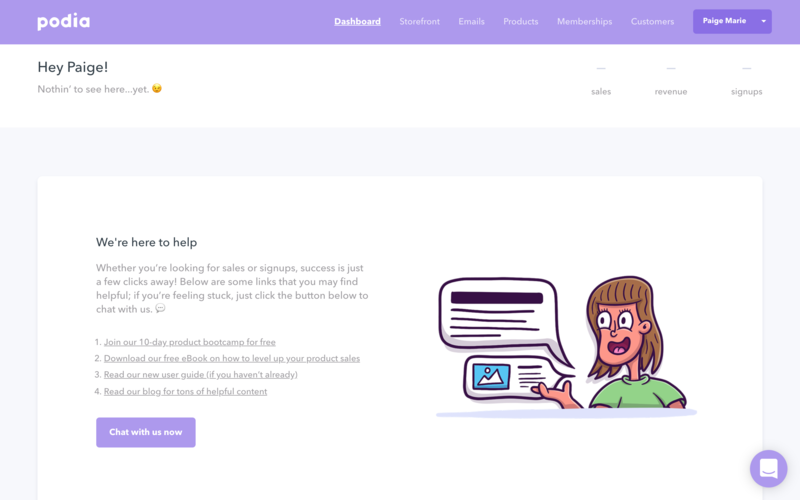 Podia uses cute animation to create a friendly Dashboard for new users. 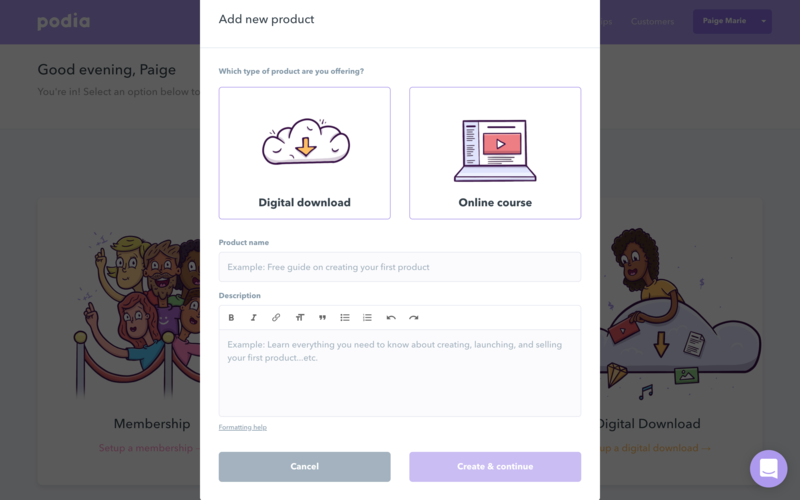 Users' focus is drawn to the illustration, which visually represents each option. Because of this, not a whole lot of text is needed on the first page. Users can choose one without feeling overwhelmed by having to choose. The rest of their flow is intuitive enough to the point where tooltips aren't necessary. Each step involves an explanation and clear description, so users can move throughout the flow and get started with as little friction as possible. Lastly, Podia includes a “We're here to help” page, so users can explore the app as much as they desire.